GIVEAWAY: Win The Expendables 2 Prizes! The Expendables 2 is getting ready to blow the doors off theaters nationwide this week, with an all-star cast returning to dish out plenty of violence and vengeance. 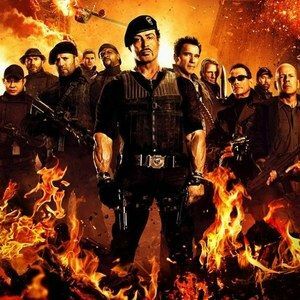 We have a contest lined up for our readers, with one lucky grand prize winner taking home a five-pack of DVDs starring various The Expendables 2 cast members, along with a t-shirt, teaser poster, dog tags, and 12 character posters. Our first prize winners will receive the shirt, teaser poster, mini teaser poster, and dog tags. These prizes will be out of here before you know it, so sign up and win today!